Come and join us in Florida for our Introduction to Cob Workshop! We will be constructing a small cob cottage. A perfect project for beginners and experts alike! This workshop is a great experience to learn how to build with cob and to get a broad learning overview of natural building techniques. You will get a solid foundation in cob building fundamentals. We will be constructing cob walls on a 140 square foot cob cottage and studying Natural Building together each day. After this workshop, you will have the basic know-how and confidence to design and build your own simple cob constructions or cob building. 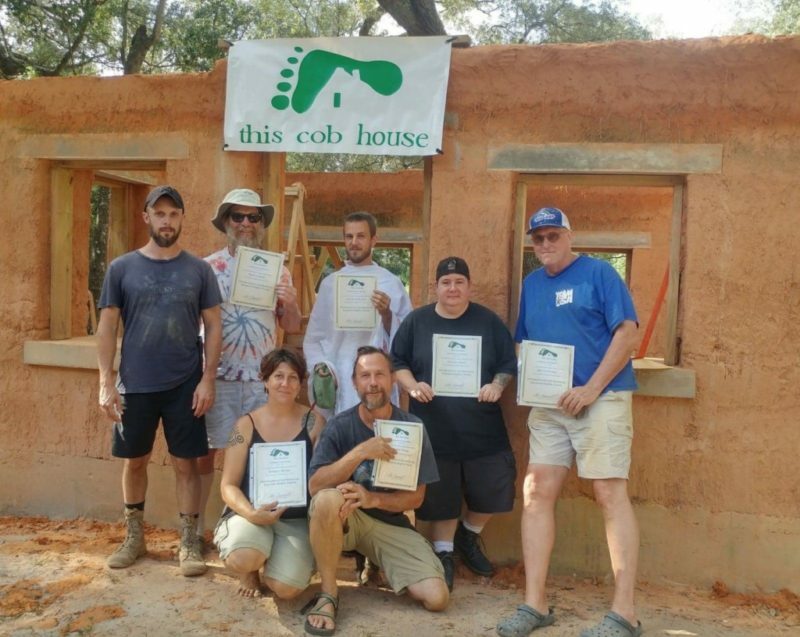 Earn A Certificate of Cob Building! 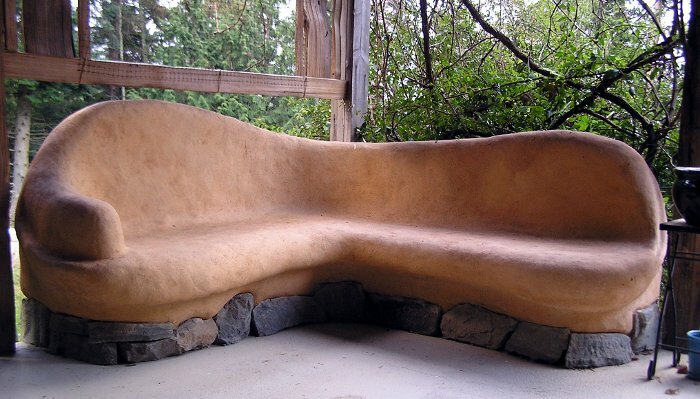 Upon completion of this workshop, you will be awarded with a certificate of cob building. This certificate is earned by all of our 5-day workshop students. It will be printed and signed by Alex for you to take home with you at the end of the week. 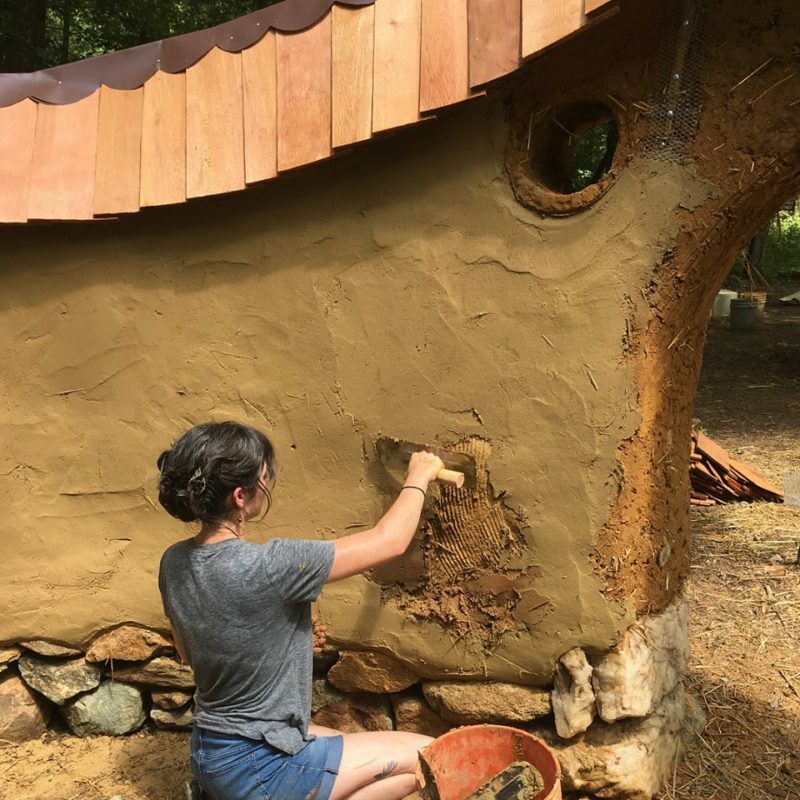 Everyone who signs up for the workshop will receive a printed copy of Alex’s book, “Build a Cob House: A Step-By-Step Guide”, and the downloadable PDF version, FREE! We only make printed copies for workshop students, so this is your chance to get one. We will be using the book as a lesson guide throughout the workshop too so you can follow along with your book in hand. There are two options for lodging: free camping on site, or making reservations at one of the local hotels or AirBnB. Hotels are available in the neighboring towns of Stark and Waldo, per Google maps, and possibly in Keystone Heights. Camping is FREE and is available throughout the property. There are plenty of great locations to set up a tent here. Multiple camp areas are available with oak trees shading the majority of the property. Trees can be used appropriately for hammocks & camp gear. 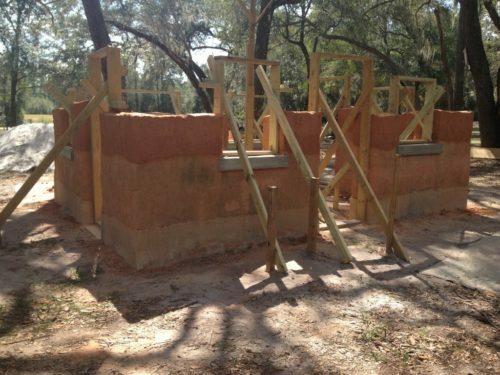 Campers will have access to a clean bathroom and private outdoor shower. A modernized, yet simple, building contains a flushable toilet with a private outdoor shower that’s tucked away. It is spacious with room to keep things up and dry. Our location has electricity & water. Electric outlets are minimal, with the ability to charge phones & power tools, in a single location. The water is well water and is drinkable, yet you may wish to bring your own. Each is responsible for their own meal preparation, unless decisions are made to share or combine. An hour for lunch is provided, allowing adequate time for a quick nap, a trip into town, fast food, cooking over the fire, or utilizing the grill. There is no official kitchen on site, but there is a small operational microwave, and a few pieces of kitchen camp gear available for use. Coolers are welcome and encouraged. Bring a camp chair for some quality R&R. Build a community camp fire, while reflecting on the day. Enjoy the grassy area to throw a ball, walking trails through the woods, blackberry bushes, slightly traveled road that’s great for a leisurely walk, and the open field in the distance to spot deer, crane, & rabbits in the early mornings. Children/young people of any age are welcome to join in and learn. Please be aware that some areas are under construction, as is the purpose of this workshop. Previous workshop parents have brought playpens, pop up tents, outside toys, and so forth. Children are welcome to explore through “hands-on” learning. It’s okay if they play in the dirt.